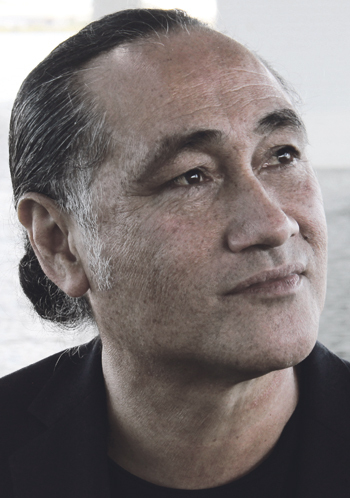 Lemi Ponifasio has been invited by the International Dance Council to be 2016’s International Dance Day message author. His missive will be broadcast to the world community in celebration of the power and vision of dance in particular – and the performing arts in general. Despite being compared to the likes of Pina Bausch and Merce Cunningham, Ponifasio doesn’t really see himself as being a representative of the dance world. Ponifasio “danced alone” for most of his 20s and only worked within a company setting when he turned 30. As he found his own voice, he also found unexpected motivation in an activist’s words that “only dead fish flow with the current”. It’s a roadmap that has allowed Ponifasio and his Mau company to constantly blur the divide between high art and the community. In between stints at the usual big-stage suspects – Berlin, Paris, Avignon, Amsterdam, New York plus an unprecedented three years at the Venice Biennale – he is regularly involved with outreach-style projects. “At the moment the work I’m doing in New Zealand is with communities – with women especially. Since I think that theatre is very much a European idea, I don’t want theatre to be another agent of colonisation. Being from over here is by its nature a rebellion, a political thing, where we don’t have to be Europeans to make theatre but instead look into our own lives to bring our own creativity. And everyone in society should have access to art and be able to create it. Although he brought the thoughtfully political Tempest: Without a Body and eco-epic Birds with Skymirrors to the Edinburgh International Festival in 2010 and the First World War-themed 19-hander I Am in 2015, Ponifasio doesn’t make many visits to the UK. As he wrily comments: “It’s a long way to come from New Zealand”. 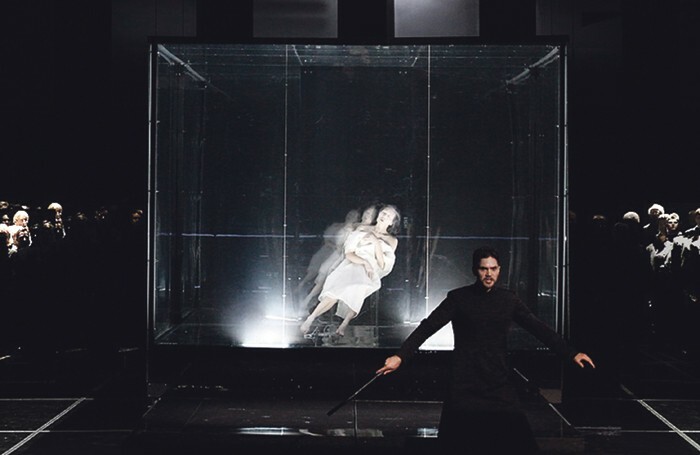 Co-productions with overseas theatres and festivals is one way of guaranteeing that Ponifasio and Mau get out there – and there’s no missing the irony that it is in Europe and America where his non-European approach is in high demand. He is still touring Stones in Their Mouths – it played Amsterdam and Marseilles this year – and Recompose will go to Hannover’s Kunstfestspiele in May, and Hine (Young Woman) premieres in 2017 at Austria’s Festspielhaus St Poelten. Meanwhile, closer to home, in Australia, he is working on Children of Gods with Sydney’s Carriageworks, involving a cast of more than 400 local people. Last year, he was also invited to Canada to helm the Luminato Festival’s revival of Apocalypsis, a two-part musical theatre epic last staged 35 years ago. His staging of R Murray Schafer’s observation on life, chaos and rebirth became the largest theatrical production in Canadian history with 937 performers and almost 700 crew. Directed and choreographed by Ponifasio, the show ran at the Toronto’s Sony Centre with a cast including Mau, Laurie Anderson and Tony award-winner Brent Carver. 1. Every April 29, International Dance Day celebrates dance, “to revel in the universality of this art form, to cross all political, cultural and ethnic barriers and bring people together with a common language: dance”. the International Dance Committee (known by its French acronym CID and part of Unesco’s International Theatre Institute), the event aims to persuade governments worldwide to provide a place for dance in education. The date commemorates the birthday of Jean-Georges Noverre (1727-1810), the creator of modern ballet. 3. As this year’s International Dance Day message author, Lemi Ponifasio is guest of honour at the CID’s celebration on April 29 at the Grande Halle de la Villette, Paris. Ponifasio will give a lecture, with Mau and Shanghai Theatre Academy performing selections from their repertoires. Israel Galvan, France’s Mourad Merzouki and Taiwan’s Hwai-Min Lin. 5. CID is a non-profit umbrella organisation for all forms of dance in the world. It was founded in 1973 and is based at the ITI headquarters in Shanghai. The council advises Unesco and other organisations on dance issues and is represented in more than 120 countries. Ponifasio bore the community torch and his own global touch to Chile when he went there in 2013 for the Santiago a Mil festival with Birds with Skymirrors. There he connected with the Mapuche, Chile’s largest indigenous people, and their struggle for recognition of their rights in the country. Under the festival’s aegis, he came back to transform his I Am into I Am Mapuche, while also setting up a new theatre company Mau Mapuche. And there’s no shirking that attitude back home in New Zealand. “We need to reform our own community core arts because the arts industry has created a relationship of supplier and consumer, where the artistic relationship is no longer about mutual productivity between the audience and the artist. “Our ability to create is measured by the market. Sure if you gave me a million dollars right now, in five minutes I’d be thinking about creating a new performance – but that’s not the point of making a work. So money come, yes great. Money no, well there are other ways. The future of the arts is about us reclaiming creativity away from the market, away from the industry. Governments are very happy if we turn our arts into industries because they don’t have to fund us, and then everything becomes ‘if there is no profit then you are not a good artist’.